A SupaSorb™wound pad provides superior wound management by draining blood or exudates into pockets in the wound pad. 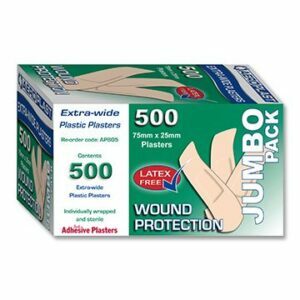 The Super absorbent wound pad minimises the number of dressing changes whilst protecting the wound from further injury. 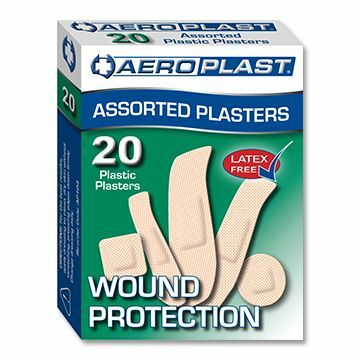 SupaSorb™ leaves the wound site clean and comfortable, while the non-adherent film reduces the pain and site trauma when changing the dressing. 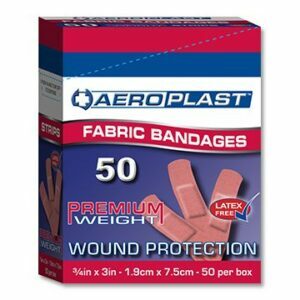 The AeroPlast Plastic Dressing is made of unique materials that bend, stretch and conform to different shapes and forms, as well as being air permeable which allows the skin and wound to breathe as it heals. Change dressing daily or more often according to the condition of the wound. 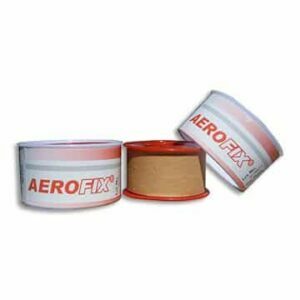 As with all adhesive products apply and remove carefully from sensitive or fragile skin. Seek medical advice immediately for all serious wounds and burns. If redness or discomfort occurs, discontinue use and consult a physician. 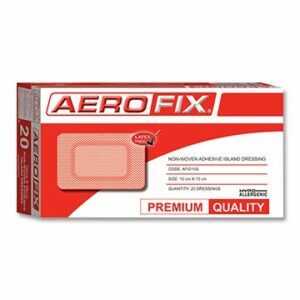 This product is not a substitute for direct medical attention from a healthcare practitioner.